LASIK is the single most popular elective surgery in the world, and to date more than 28 million procedures have been undertaken. 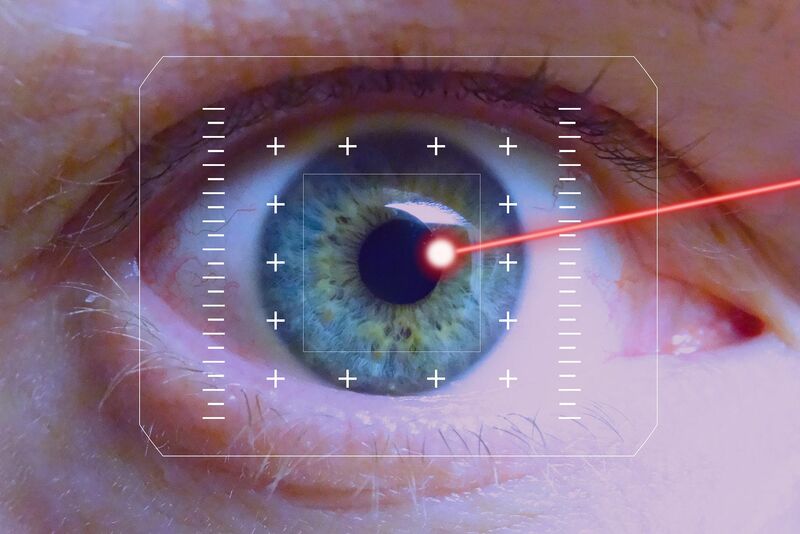 Using the latest laser technology, LASIK reshapes the cornea to remove the abnormalities causing your vision problems. If you are near or far-sighted, have astigmatism and even presbyopia, then LASIK could be the perfect solution for you. Many patients who choose LASIK will be able to achieve perfect vision after their surgery, eliminating the expense and hassle of wearing traditional eyeglasses or contact lenses. A short recovery time and a high success rate are just additional benefits of this highly sought-after treatment. LASIK is considered by most eye doctors to be extremely safe, but as with any surgical procedure there are some potential complications. By far the biggest complications of LASIK is the risk of infection developing in the days after the procedure. Our LASIK surgeries are always performed in an entirely clean and sterile environment, and we use the latest, blade-free techniques which contribute to a minimal infection risk. However, when the patient leaves our premises they will need to follow robust post-LASIK eye care instructions to continue to minimize the risk of an infection developing. After your surgery, Dr. Goel will talk you through your aftercare instructions. It is important to ask any questions at this time, so that you can be sure you are fulfilling the steps needed to get the optimal result from your LASIK treatment. Wearing the protective eye shield provided for approximately 24 hours after your surgery. This will stop you from subconsciously touching, itching or rubbing your eyes. Following the guidelines provided by Dr. Goel in regards to using the anti-biotic and anti-inflammatory eye drops you will be given. Using lubricating eye drops regularly throughout the course of the day to keep the eyes moist. This is because LASIK can cause temporary disruption to the nerves and gland in the eye that produce natural tear film. Using artificial tears/drops will help to prevent the development of dry eye and keep you more comfortable. Don’t go swimming or use hot tubs for at least three weeks after your surgery. Goggles are not sufficient to protect your eyes! Avoid wearing any facial cosmetics, lotions etc. for at least the first week after your LASIK. Do not participate in any contact sports or other activity that could potentially cause damage to your eyes for several weeks. Avoid smoky, dusty or similar environments that could irritate or damage the eyes. Infections after LASIK are very rare and can be treated with antibiotics. However, by following the instructions provided by Dr. Goel and the team, you can help to avoid complications and ensure that your LASIK laser eye surgery gives you the best result possible. To find out more, get in touch with our knowledgeable and friendly team who will be happy to advise you or schedule you an appointment.